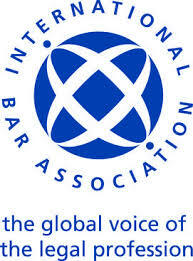 The IBA War Crimes Committee has confirmed a number of high-profile and exciting speakers for its 2015 annual conference: International Legal Challenges 2015. The conference will take place at The Peace Palace, The Hague between 31 January – 1 February 2015. The IBA War Crimes Committee has organised the conference to take on the hot political crises and conflicts in the international media today and to examine the legal issues related to them. Experienced panellists with an insight into these situations will respond in a BBC Question Time format to questions from a moderator aimed to inform, challenge and provide answers. By emailing the moderators in advance, those registered to attend will have an opportunity to submit questions and may be selected to put them from the floor. This will be a lively and dynamic conference for any lawyer interested in world affairs. Respecting State Sovereignty and the ICC: Unwilling or Unable?